In 2014 we made one the most important decision of our lives: we decided to sell everything we owned to become full time Overlanders and explore the world while we were still “young” and healthy. The second biggest decision was to find the vehicle that would suit us best. Our online searches were endless, we first fell in love with the Toyota Landcruiser Troopy camper conversion in Australia but we quickly found out that it was impossible to import to the US (unless in was 25 years old) and after all, it was maybe just to small for us. After more research our final 2 options were the Bengal TX by TIGER Adventure Vehicles and the V1 by XPCAMPER. In October 2014, we attended the Overland Expo in Asheville NC and were able to see the Tiger and the XPC and all kinds of other great Overland Vehicles. 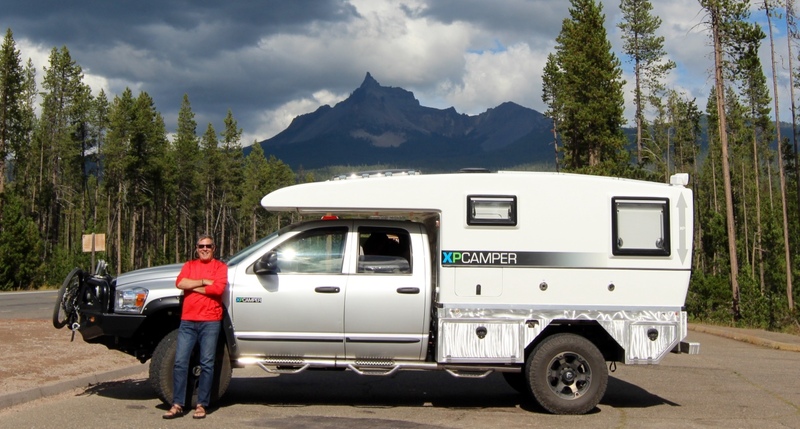 After much reflection we made our final decision and in January 2015, after selling our house, we put a deposit on a V1 XPCAMPER. We liked the bright and airy interior, the queen size bed with a lot of headroom, the low profile of the vehicle that fits in a shipping container, the superior design technology and the overall quality. 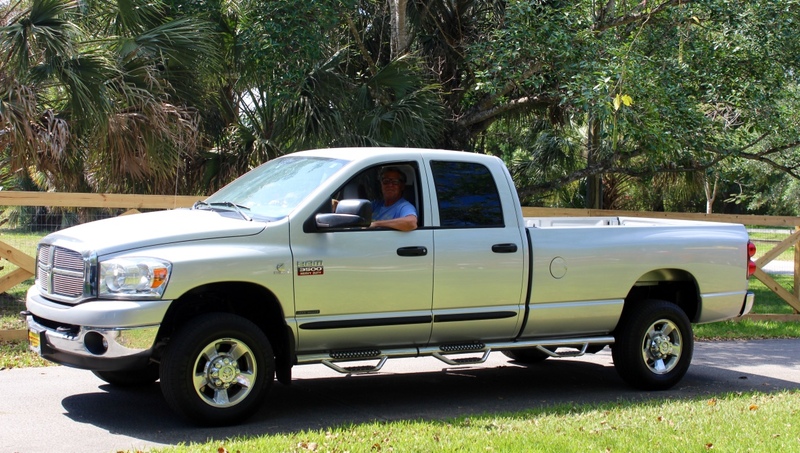 In March 2015, after searching on Craigslist and AutoTrader we found the truck we were looking for in Sandy, Utah: a 2007 Dodge Ram 3500 SLT, Quad Cab, SRW (Single Rear Wheel) with a Cummins 5.9L turbo diesel engine, 4WD with only 48 000 miles. Because our journey takes us through Central and South America, we had to go with a 2007 truck or older because of the ULSD (Ultra Low Sulfur Diesel Fuel) that is not available in most Central and South American countries. It also came equipped with a Jake Brake which will be very valuable when driving the many downhill roads in Central and South America. It will spare our brakes from heating up. The engine brake was an unexpected bonus. XPCamper. Posing in front of Mount Thielsen in Chemult, Oregon (August 2015). White Cloud Campground, Tahoe National Forest, Nevada City, California (August 2015). Wow, just found your blog and want to wish you two a terrific and very safe journey. Geoff and I will be following you! If you ever make it to the Boston area, we would love to meet up with you! Sue and Geoff Andrew (we have the A frame cottage on Orlo island on Blue Sea Lake). Hi Sue, Nice to hear from you, hope you had a nice summer in Blue Sea, it is such a magical place. 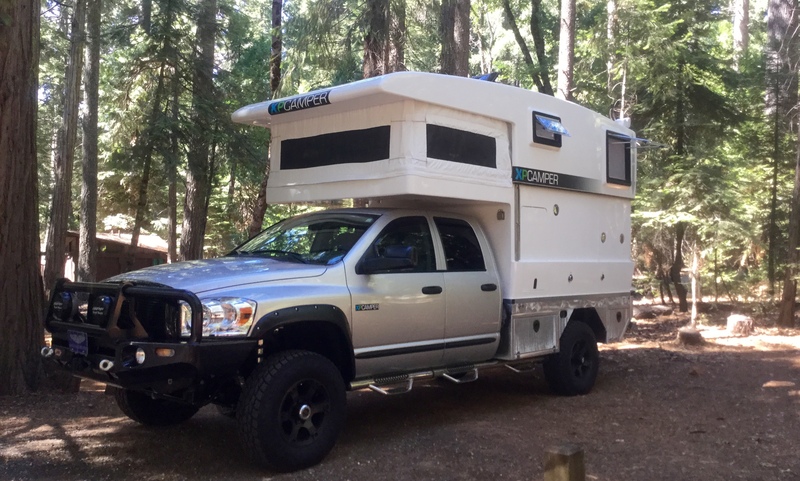 We are currently in Northern California waiting for our camper, we should be on the road soon and looking forward to explore Alaska. Thanks for following our Journey. Cheers! Josee and Joe. Hi Josee, So happy to see you guys are doing so good. This is so you and you are so brave for living your dream. Very excited for you and will be sure to follow you on your adventures. OMG Jeymy!!! How are you? I am so happy to hear from you and I hope all is well. How did you find my blog?? Hey there, just read your blog. Keep up the good work and picture, maybe a few less pictures of Joe! Take care and best wishes on your journey, Blue Sea isn’t quite the same. Joe & Josee! I found you! I’m so pleased to see the pics of your awesome rig. Can’t wait to catch up. I’ll be following you and believe that we can connect during your journey. Great pictures of the Yukon! I’m keeping up with y’all so when you head South we hope to meet you somewhere. Enjoy the adventure! Hi Kim, we spoke with Chuck and he told us that you were in Mexico so I guess we won’t see you. We are shouting for Baja for the first week of November. Enjoy Mexico! Hey! When I’m back in Oaxaca maybe you all will be nearby. Have a great time! Hi Kim, we are still in Baja and enjoying every minute. It would be so much fun to see you in Oaxaca, let’s keep in touch. Best wishes to you and Chuck for the new year! I hope that you got my message earlier. I don’t see it posted. I’ll be in Oaxaca 1/28-2/10. Y’all may not be that far south yet. I may be in San Carlos, Mexico in April but y’all may be further South by then. I’ll be in Oaxaca again for a brief visit starting Jan 28th. Y’all may not be that far South. May be in the San Carlos area in April. We’re skiing around the West in the XP now. I’m in head to toe goose down while y’all are in swim suits! Hey! I’m enjoying your posts & seeing what a great time y’all are having. I’m typing while in our XP in CO.
What auto insurance did y’all choose for Mexico? We’re heading down for just a quick trip. Thanks! we’re in San Carlos in the XP visiting friends who live there. When y’all are in Oaxaca, I know some lovely locals who could arrange fun outings. I can get y’all connected if you’d like. They’re wonderful people who are reliable for anything. Where are y’all? I’m just wondering. I’m imagining that y’all are having the best time! I like looking at your pictures & the route map. It looks like everything is going well with you all. We are fine and enjoying traveling too, just not on an endless wander like y’all are.